What would you do if you found out a bomb had been planted somewhere on the island you were staying on? 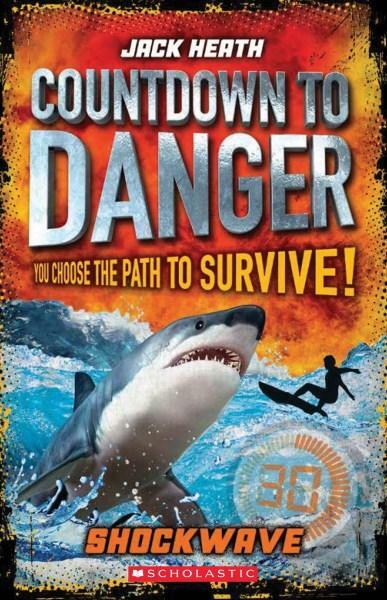 Or if you were out surfing and a giant shark headed towards you? Or if a stranger told you they were FBI and you should follow them? Would you save yourself from mercenaries or take a riskier path to try to save your friends as well? Shockwave is the second book written by Heath in the style of ‘Choose Your Own Adventures’. The reader becomes the main character in plot and faces a series of decisions during a 30 minute high-stakes, high-adrenaline fight for survival. Take control of your own destiny as you navigate 30 different pathways leading to 30 different endings; which ones lead to a happy ending? 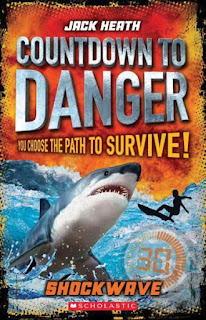 Jack Heath is the author of several edge-of-the-seat adventures, including 300 Minutes of Danger and the Scream series, popular with young readers in search of spine-chilling and adrenalin-pumped adventures. This is a thrilling read for those from eight years and up.